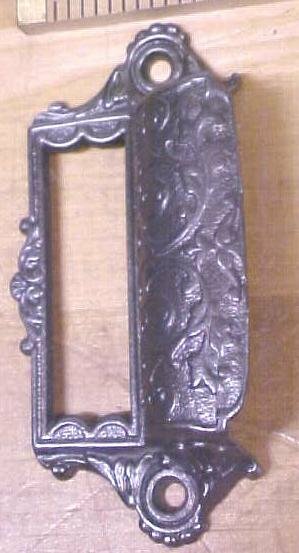 This is a nice heavy duty drawer/bin pull, all the same style and size, all made of cast iron, with the floral leaf, acanthus and scroll design highlight. These are designed to give heavy duty duty pull on applications like a filing cabinet, where only one handle might be used per drawer. There is a place to fit an index card into, to label the drawer. The size of the card slot is 3/4 x 2". This pull is .87" x 2.2" x 4.37", and the mounting holes spacing are 3.63" on center. Very nicely made handle pull overall, strong and solid. A good, sturdy, and nice looking drawer pull! Price is per each x the quantity shown in the quantity number listed. 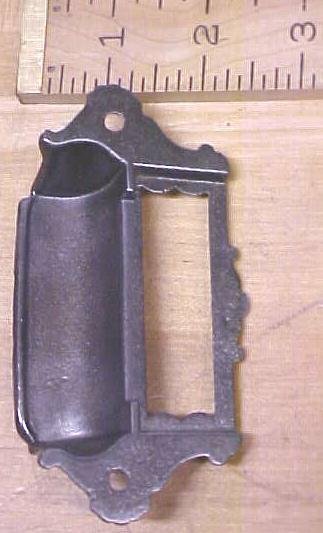 These are vintage reproduction handle pulls, no mounting screw will be supplied. 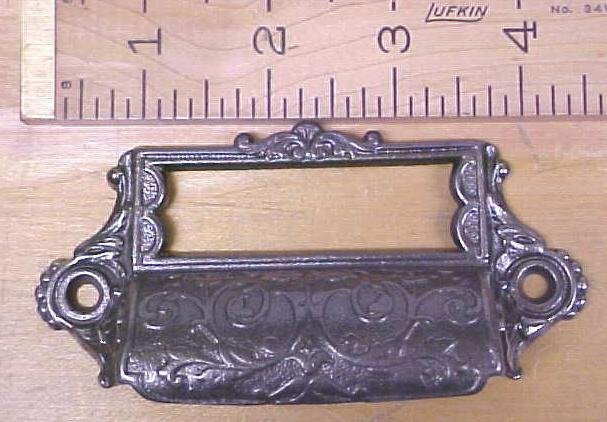 Items Similar To "Antique Drawer Pulls Ornate Hardware Cast Iron Filing Cabinet"